My chanced visit to the Holy shrine of Badrinath was made in the month of July 2012, with my colleagues from work. We were around 20 people including some family members. So we hired a bus from Haridwar and set out on a spiritual journey to one of the highly regarded Char Dhams of India : Badrinath. Day 1: We started at around 6 o’clock in the morning from Haridwar,via Rishikesh 🙂 . On the way, we passed through Devprayag, the place where the heavenly rivers of Alakananda and Bhagirathi merges to form the holy Ganges. Then we passed through Rudraprayag, where the confluence of Alakananda and Mandakini has taken place. By the end of that day we arrived at the little township of Chamoli and had to make our arrangements for stay as there was a massive landslide few kilometers ahead and we could not move further on that day. Day 2: We set out for our final destination on the second day early in the morning. Passing through treacherous roads, we could see the rockfalls that caused the landslides :O . Nevertheless, the scenic beauty made up for all the shortcomings of the trip. We could see beautiful mountains, shrouded in clouds along the whole journey. The road was taking twists and turns every now and then, of course very much similar to mountain trails. 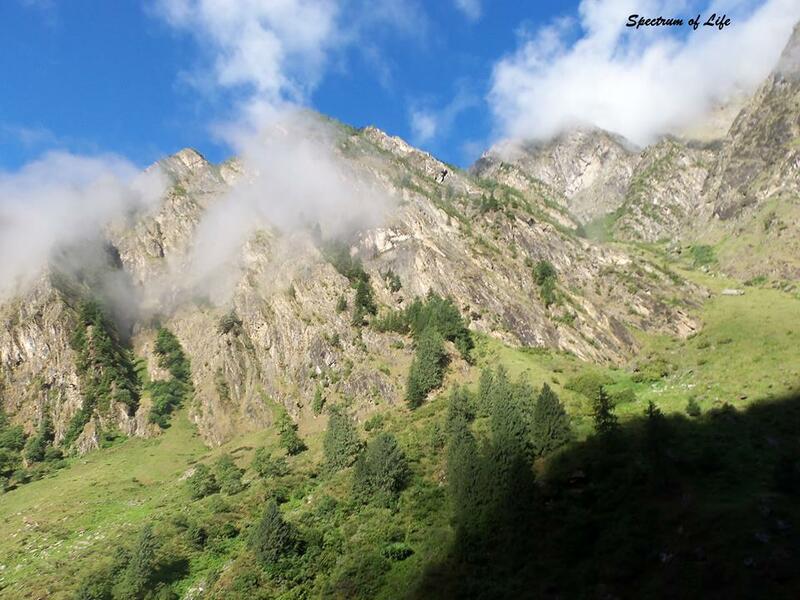 After quite sometime, we again passed through a small township of Joshimath. It too had many small shops and hotels to cater to the needs of the travellers. This is the place from where people head towards Auli,which is an important Ski destination in India. Everything seemed so beautiful and pure, and I felt at peace with myself. Fellow travelers could also be seen throughout. 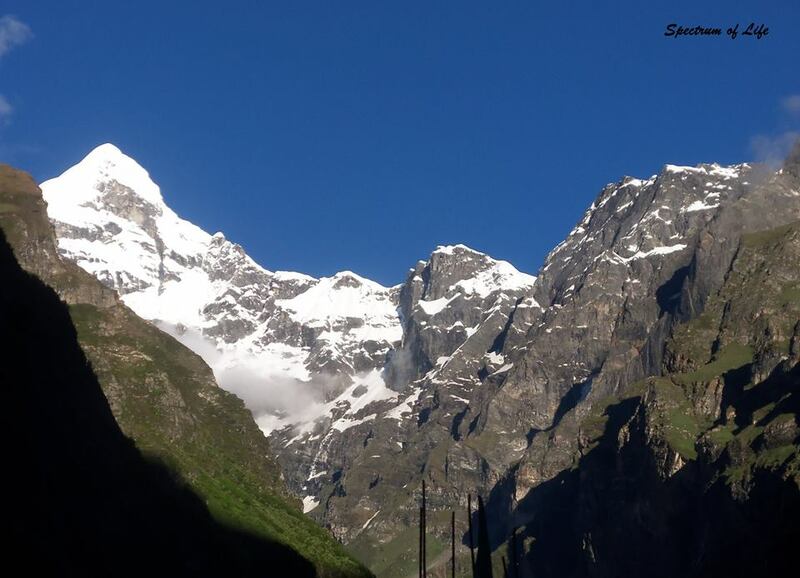 Some were headed for Badrinath, some for Hemkund Sahib(another pilgrimage) and some went for the Valley of flowers. Uttarakhand has so much to offer to nature lovers, from mountains to snowfalls, from adventure sports to pilgrimage. I have spent 3 years of my life in this beautiful state, and will always cherish every memory I created here. 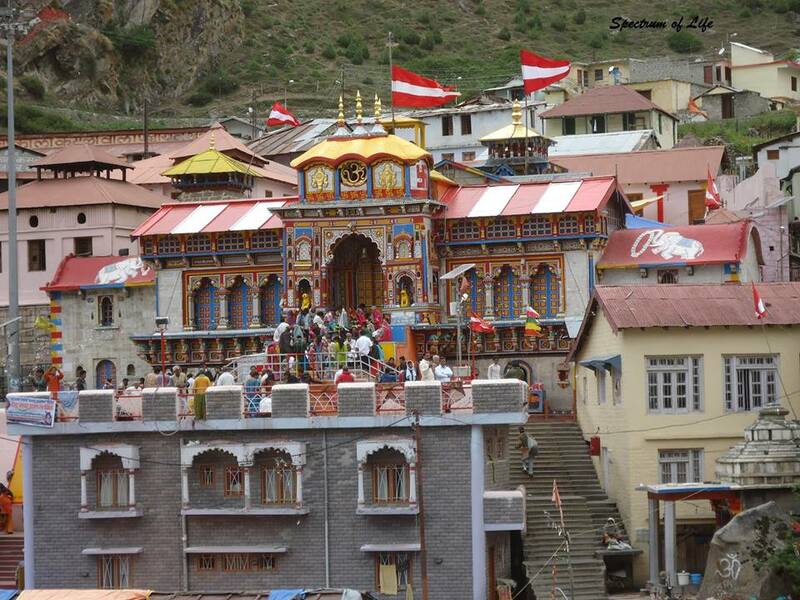 Finally, around afternoon we reached Badrinath and my heart skipped a beat of relief. The very first sight of the colorful temple on the banks of Alakananda river makes you feel at tranquility with nature. The gushing sound of the river is like some holy chants. I felt as if I have been transported to a different world. The whole group of ours decided to do the darshan immediately after check in at the guest house. With such a cool weather in the month of July, no wonder there were blankets in the room. The pavements to the temple passed through a series of shops selling different Puja items and souvenirs. I made up my mind to get some of souvenirs on my way back. Meanwhile we took some Puja items to offer to the Deity. Lots of people can be seen around at that time of year, but when winter sets in even the locals shift to Chamoli, which is at a lower altitude. 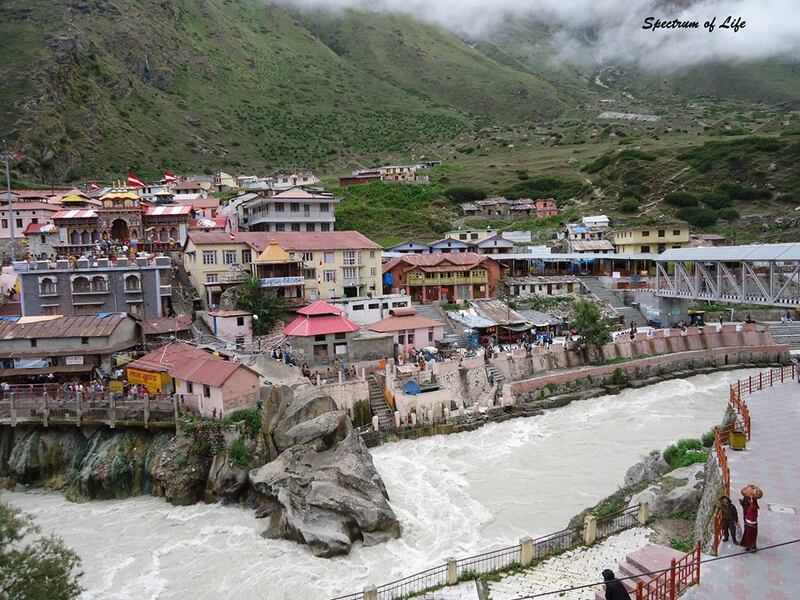 Firstly people are expected to take a bath in the “Tapta Kund”~~~Natural Hot water spring. Thereafter all headed towards the main entrance of the temple to offer the prayers. Light drizzle started as we entered the temple. As can be seen in photos, we bought yellow raincoats for escaping the light shower. There was quite a rush at that time, so you will have to be really quick in thinking and chanting your prayers. This scene is very common in the famous pilgrimages. After this, all of us had lunch and headed back to the guest house to take some rest as we were very much tired. In the evening we planned to visit Mana, the last Indian village which was situated just a few kilometers ahead of Badrinath. You can view my post on Mana here. The next day we woke up all fresh and filled with peace. The place is so serene and pristine. I have never seen such untouched natural beauty in my life. The early morning sunrise, with the view of glaciers, it felt like magic 🙂 . 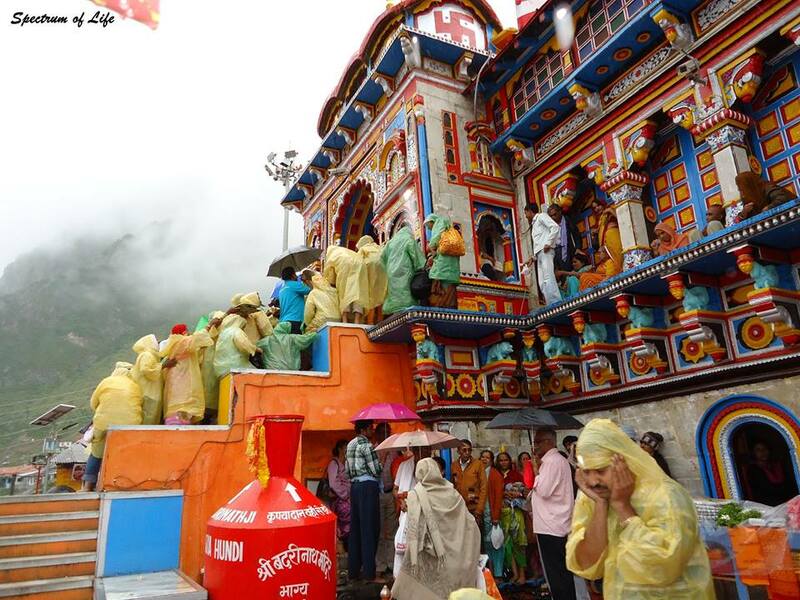 I suggest all to make this holy and wonderful trip to the Badrinath Dham, it will make you feel great. Holding memories in our minds,we boarded our bus to head back home 🙂 and longed to narrate our little adventurous and spiritual trip to the fellow colleagues who could not make it for the trip .